The Philadelphia Phillies announced moves over the last few days aimed at finalizing their coaching staff for the 2019 Major League Baseball season. The biggest moves came with the big-league pitching staff. 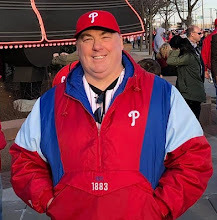 As our Tim Kelly here at Phillies Nation reported just two days ago, the Phillies let former pitching coach Rick Kranitz go, replacing him with the previous assistant pitching coach, Chris Young. Kranitz had served on the big-league staff over the past three seasons as the bullpen (2016) and assistant pitching (2017) coach prior to taking on the primary pitching coach role this past season. Prior to joining the Phillies, Kranitz served as pitching coach with the Florida Marlins, Baltimore Orioles, and Milwaukee Brewers. Today the Phillies announced that Dave Lundquist, who has served as the Triple-A Lehigh Valley IronPigs pitching coach for the last three seasons and has been coaching in the Phillies organization for the last 11 years, will move up to take the position as the new assistant pitching coach to Lundquist in Philadelphia. Returning to the staff for next season are manager Gabe Kapler, his bench coach Rob Thomson, and both hitting coach John Mallee and his assistant, Pedro Guerrero. Also coming back are first base coach Jose Flores and third base coach Dusty Wathan. Others making a return to the staff for the 2019 campaign will be bullpen coach Jim Gott, bullpen catcher and catching coach Bob Stumpo, and Craig Driver, who also serves as a bullpen catcher with duties as a receiving coach. The removal of Kranitz from the pitching coach position was somewhat surprising. There are four legs to any successful baseball team: pitching, hitting, defense, and coaching. It can be argued that the pitching staff was the one competitive leg that the Phillies could rely on for much of the 2018 season. However, according to MLB insider Ken Rosenthal of The Athletic, a number of teams were after Young to fill their primary pitching coach position. The Phillies simply felt he was too valuable to lose. Evidently, more valuable than Kranitz, who the club will allow to interview with other organizations even though he remains under contract. #Phillies promoting assistant pitching coach Chris Young to pitching coach in place of Rick Kranitz, sources tell The Athletic. Team will allow Kranitz to interview elsewhere. Move prompted by multiple teams showing interest in making Young their head pitching coach. The Phillies new pitching coach should not be confused with either of two MLB players who each saw significant big-league time over the last decade. There was as Chris Young who played as an outfielder with six teams from 2006 through this past season, and who is now a 35-year-old free agent. The other Chris Young was a pitcher who appeared from 2004 through the 2017 season with five different clubs. He is now retired and at age 39 is a vice-president within the Major League Baseball administrative organization. The Phillies pitching coach played college ball at Mississippi State, and was selected by the Colorado Rockies with their 18th round pick in the 2002 MLB Amateur Draft. Following six minor league seasons he retired. From 2010-17, Young served in a scouting position with the San Diego Padres and Houston Astros before joining the Phillies staff this past season. Originally published at Phillies Nation as "Phillies set their 2019 big-league coaching staff"